For too long, wallpaper has been considered the red-headed stepchild of the decorative arts. In the past, at least, the moniker has not been entirely unwarranted; what with too many tacky ‘trends’ and time-honored ‘traditions’ lingering to blacken its reputation, or worse, no tangible mark left behind once the stripping and sanding has taken place, the legacy of wallpaper has been made as fleeting and forgettable as the proverbial ‘next best thing’. Yet, wallpaper affects mood as well as the style of a room, its’ influence and impact applied to all the other home furnishings it envelopes. Perhaps more than even our choice in paint colors, wallpaper distinctly marks a home with an inimitable personality, not only identifying the room’s functionality, but also illustrating the age, affluence and gender of all those who dwell within. Historians have been rather ‘unkind’ in their reflections on wallpaper, chiefly because it usually has been engineered to provoke a response to, and, mimic a more established predecessor in the designer’s scrapbook, like tapestries made of silk, velvet or chintz, a mirrored surface, wood, masonry, or a mural depicting some far away oasis or sunset, etc., et al. 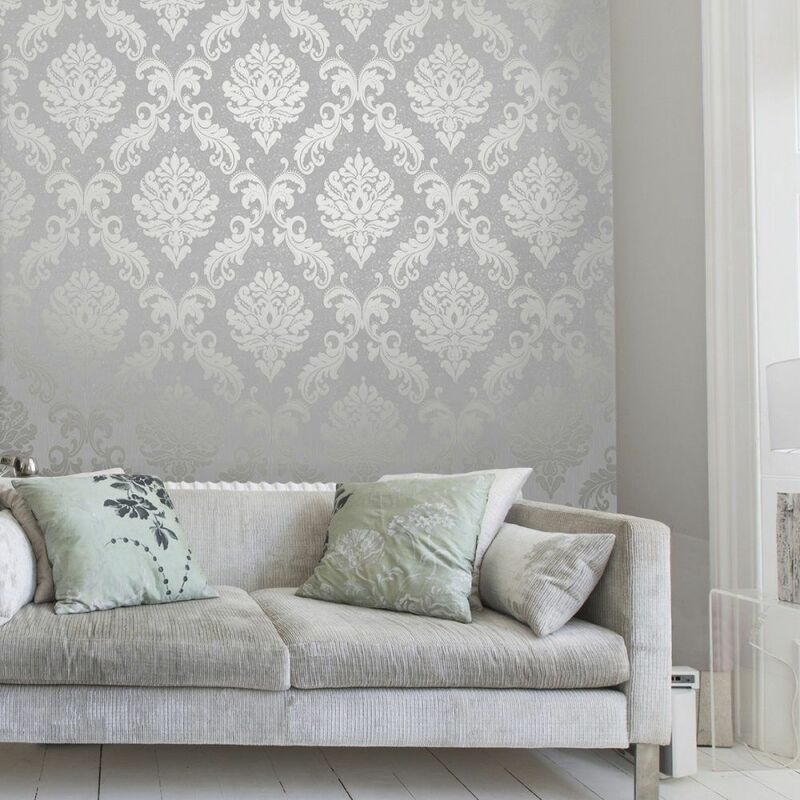 Despite its affordability, especially when directly compared to these aforementioned alternatives, or perhaps, more directly because of it, wallpaper has never shed the stigma of being ‘a cheap imitation’. Consider that wallpaper was oft used by 19th century novelists like Thomas Hardy to describe characters whose failings in honesty and integrity were masked by ostentatious sham. It did not help the cause of wallpaper that many of its earliest manufacturers refused to adorn their own walls with it. Nevertheless, wallpaper became a durable fashion trend – the ‘make do/go to’, destined for better and more adventurous chapters to prove its value and aesthetic calling. Better still, in more recent times wallpaper has taken ambitious strides to move well beyond the traditional cornflower floral repeats, chinoiserie mosaics and geometric patterns that were to establish it as decided lower middle-class and déclassé. Today’s wallpaper reflects more than mood and personal taste. 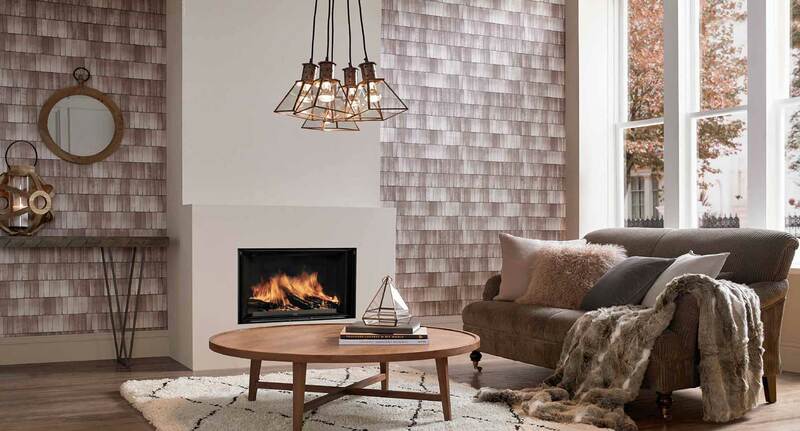 It yields finite beauty and charm as an edgy alternative to painted surfaces and faux finishes. And wallpaper, perhaps best of all, ushers in the changing times with timely distinction. One trend resurrected with a vengeance over the last few years is wallpaper ‘highly stylized’ to create the uncanny illusion of other natural materials. From wooden planks to concrete blocks, paneling, wainscoting, reflective mirrored surfaces, even fake bookcases and beyond, more than ever, the central theme in wallpaper design and manufacturing has been to fool the eye, at least at a glance, into perceiving an entirely different element of design, and, even after the ruse is discovered, to continue the cheat by maintaining its illusion at a distance. 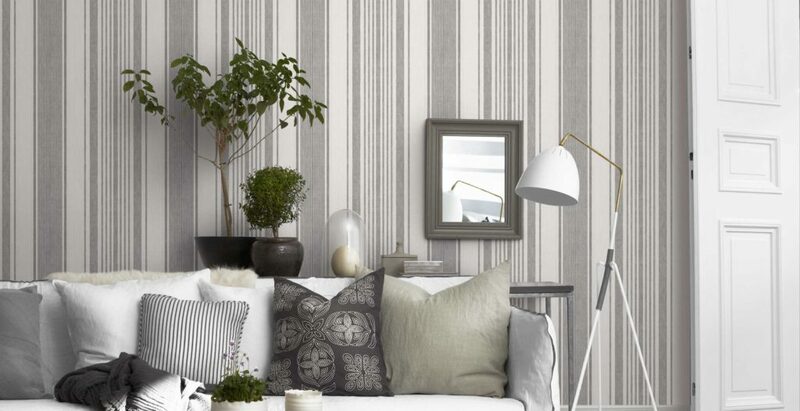 Whether sparingly applied to create a unique accent wall or papering an entire room, wallpaper today is all about adding boldness and vitality to a room. The other ‘trend’ in wallpaper, perhaps more unusual than most, is to make it the central focus in a room rather than just a complimentary backdrop. To this trend arrives a spectacular ‘new’ twist – wallcoverings, suggesting the urbanity, wit and sophistication of pop art, and/or vivacious depictions of the great outdoors brought inside. From mural prints that magnify both the size and lushness of vibrant floral blooms to scenes of towering sequoias, cavernous rock formations, stark landscaped deserts or magnificent tropical waterfalls – and beyond, wallpaper murals have rechristened and revived this botanical strain in home décor without ever having to acquire the proverbial ‘green thumb’. Do not underestimate the sumptuous natural splendor of these spectacular murals. Conversely, however, it behooves the creative in all of us to use them sparingly. For maximum drama, maintain an unoffending neutral base in the rest of your surroundings (whites, taupe, mild greys and tans work the best). Or, if you prefer, try extracting a single complimentary tone from the actual mural; the hue reproduced as paint, expressly applied to the other three walls to compliment the mural. 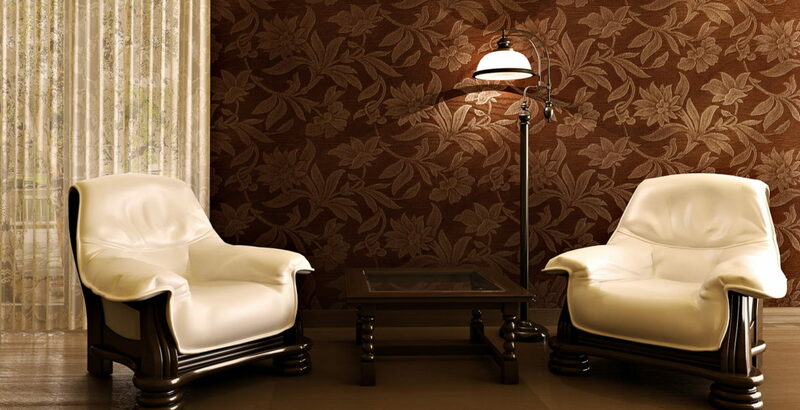 Remember that when stepping outside the proverbial ‘box’, a mural becomes the dominant décor in the room. It’s eye-candy allure should have no serious competition, just a lot of extemporaneous pieces that appear to extend and subtly reflect its overall appeal. Whether a large accent wall in the foyer or living room, or the prominent focus of an intimate powder or master bedroom, nature’s bounty can provide a decidedly ‘bigger than life’ experience; enriching and glorious! 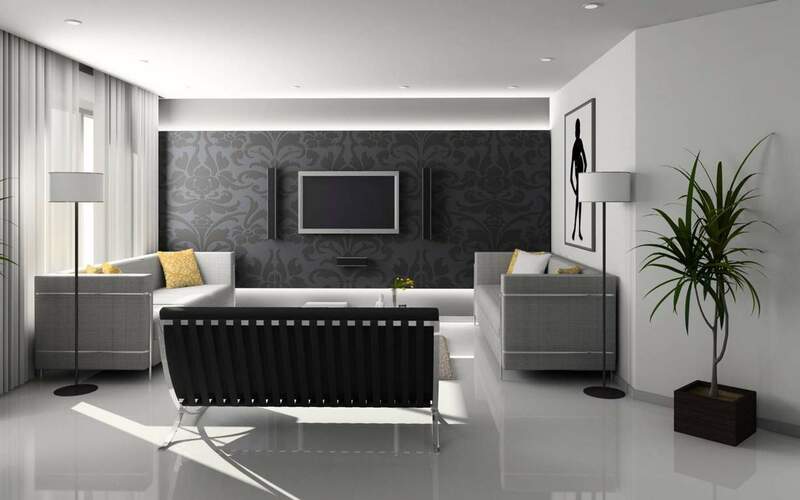 Of course, the real beauty in this latest trend is it need not be all-inclusive, but rather expressly created to open up a pre-existing living space with punch, pop and pizzazz. 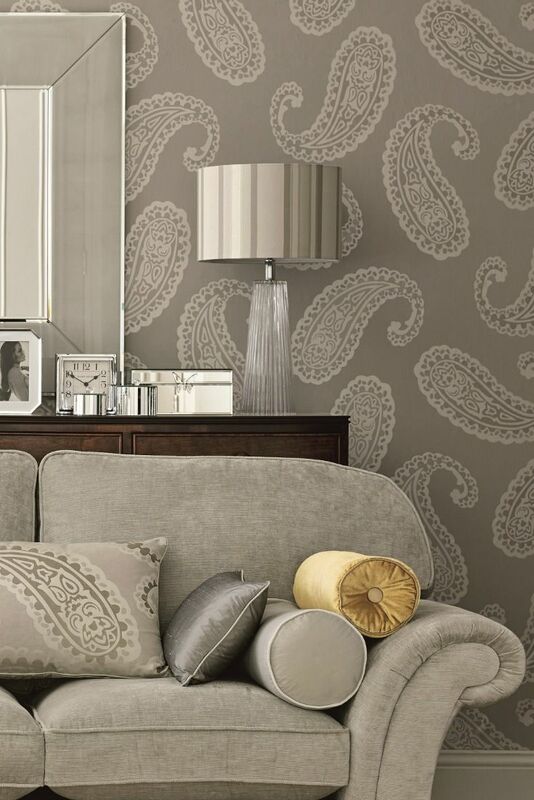 Wallpaper as backdrop – no more! It has instead become its own ob-jet d’art. And with advancements in digital art printing there are many options available today, replicating finite works of art from virtually every period in history, given renewed life as the ‘new’ centerpiece of your walls. So, prepare to be dazzled. Because, wallpaper is rewriting the rules of engagement all over again.